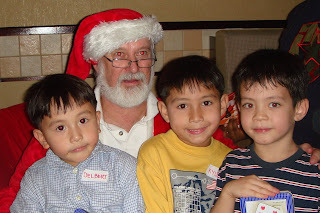 We saw Santa Claus last week at the rugby club. I sang Joy to the World and Jingle Bells at school today. Thomas was Santa. 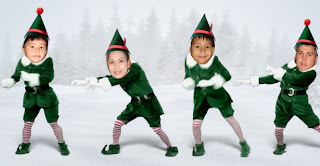 I got elfed by Mama and Papa. Click to see me dancing.